Stained Glass Zoom | Irene Abdou Photography, LLC - Travel. Lifestyle. Documentary. NGOs, Development & Public Health. Washington, DC: October 11, 2008. 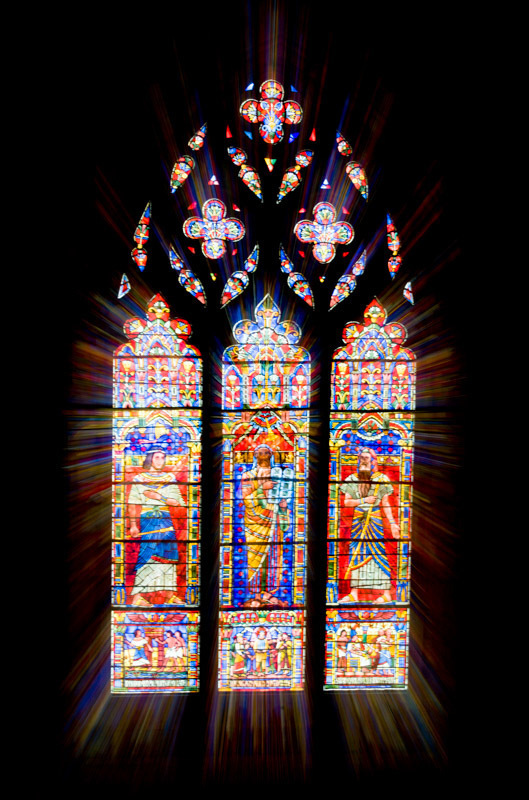 The Washington National Cathedral in Washington, DC boasts over 200 stained glass windows, many of which depict major events. This image is a zoom burst of a stained glass window. A zoom burst is done by zooming the zoom lens of the camera during a slow shutter speed exposure.